"The Best Value of all our Wedding Vendors." Plus, as you work on your timeline and tailor your budget, enjoy the flexibility of adding or deducting up to two hours of coverage anytime before your wedding day. After your much deserved honeymoon, view your wedding day photos and decide how you would like to remember and share your wedding day story, and the family and friends who celebrated the day with you, with others. And perhaps one day with your children…and their children. Reserving the date just takes a few minutes and can be done online or in-person. 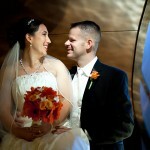 Simply take a minute to provide me with a few details about your wedding day. I will let you know if I still have the date available and can provide pricing details inclusive of travel costs, links to full galleries and album designs.